If you have been involved in an auto accident, it can be a confusing and stressful situation especially if it is your first one. And you will be required to make some important decisions rather quickly, such as where to have your vehicle repaired. Before you move forward with your decision, be aware that there are many myths out there regarding collision repair. In this article we will debunk 4 common auto body repair myths. 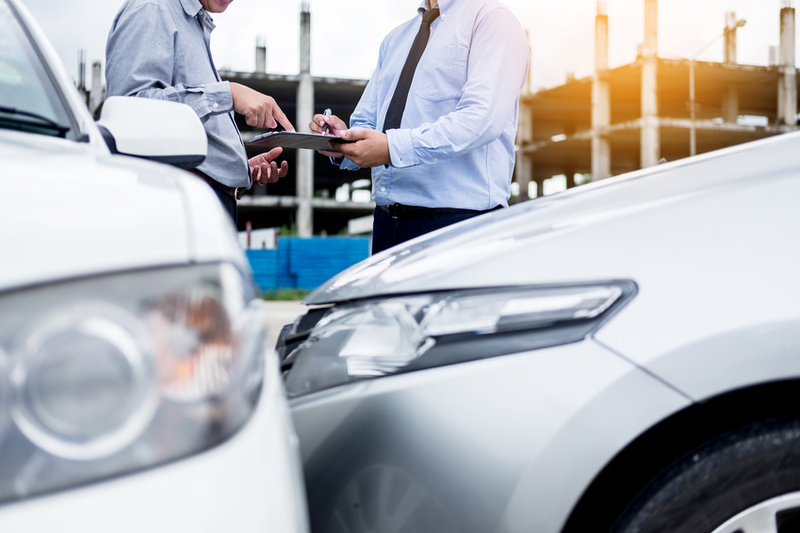 Although it is true you will need to involve your insurance company to pay for a portion or all of the damages, you still have to right to choose where the vehicle will be repaired. Your insurance company will likely recommend a repair shop as most providers have contracts with specific body shops to lower repair costs and speed up the repairs. However, the choice is always yours. Just be sure to choose a reputable auto body repair shop that provides a lifetime warranty. Also, be sure to read their online reviews. One common misconception is that only a dealership has access to major OEM (Ford, Chysler etc ) parts and they ultimately provide the best repairs. This couldn’t be further from the truth. For example, at Pole Position Auto Body, we can order the same parts, have state of the art equipment and highly trained technicians. Often a local body shop can provide more personal and individualized service than a dealership. At Pole Position Auto Body we create long term relationships with our clients and they become part of our family. Even small fender benders can cause some level of damage to the frame, so if this myth were true vehicles would be getting totaled by insurance companies for almost every accident. As long as the frame is not structurally compromised, more than likely it can be repaired. Also, a lot of newer vehicles have frames that can be repaired multiple times. Your local auto body shop can inspect the frame and determine whether or not it is reparable. Another common myth is that your insurance provider will cover all of the damages. However it will depend on your insurance policy. If you were at fault for the accident, you’ll likely have to pay a deductible for the repair service. If another driver was at fault, their insurance company would cover all accident related costs. Many insurance providers offer “full coverage, limited collision” policies which only cover your vehicle if you are not at fault. If you are in an “at fault” collision you have zero coverage. We have had multiple insureds that we unaware they had this type of coverage until they had an accident. So be sure to read your policy carefully before you are in an accident so you are prepared and know what to expect. Consult with your provider about any questions you may have. Looking for a Warren Body Shop? If you have been involved in a car crash, don’t fall victim to these auto body repair myths. If you are looking for a reliable body shop in Warren to repair your vehicle, Pole Position can restore your car to it’s pre-accident condition while helping you navigate through the entire process. We offer free towing 24/7 and will work directly with your insurance company so you don’t have to.